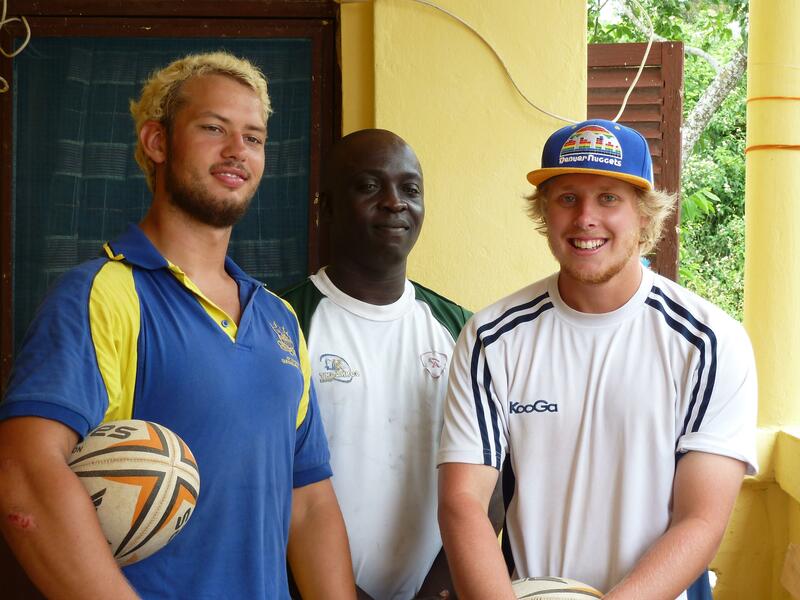 Gain hands-on rugby coaching experience in Ghana and help disadvantaged children at the same time. You’ll work in schools and support the work of a local rugby coach. Your focus will be on encouraging students to have fun, exercise, and work together as a team. Rugby is a rapidly growing sport in Ghana. You can use this as an opportunity to help children gain confidence and improve their fitness. You’ll also learn directly from the coach, and we encourage you to share your own knowledge and training techniques. 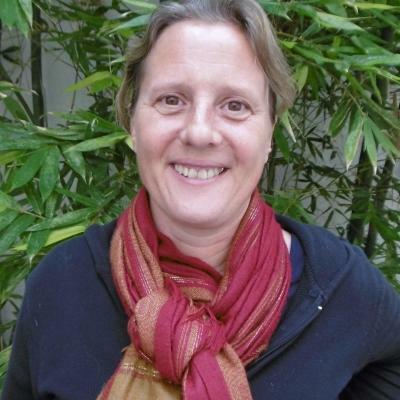 This is an exciting and memorable way to add practical coaching experience to your CV. You’ll live and work in Cape Coast, and stay with a local host family. 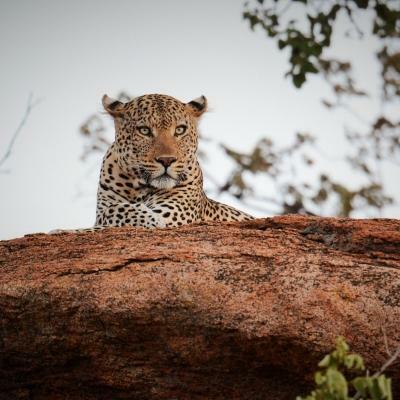 You’ll have the change to explore on weekends, and eat your weight in delicious food like red red, or groundnut soup! 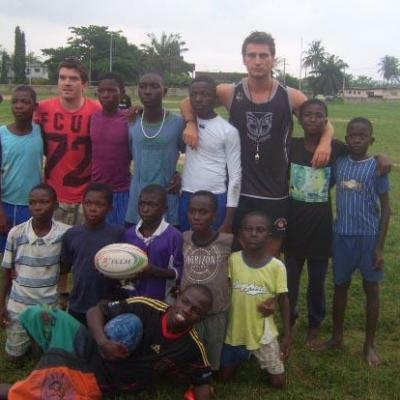 Is volunteering to coach rugby in Ghana right for me? This project is open to anyone with an interest in rugby, a passion for fitness, and who enjoys working with children. Use it as an opportunity to add practical coaching experience to your CV. It will also give you interesting points to talk about in interviews or applications. You don’t need previous experience to join. 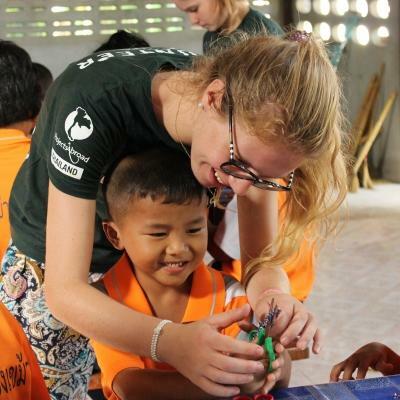 You’ll work with local coaches, and Projects Abroad staff are also there to help whenever you need it. 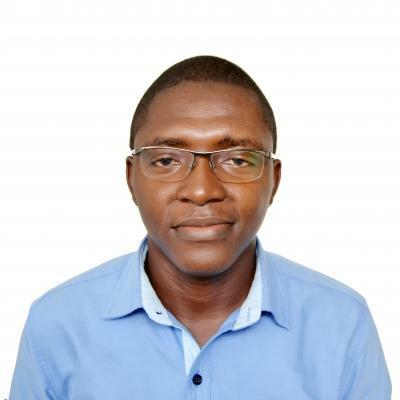 What will I do as a rugby coach in Ghana? You will help support the work of local coaches. 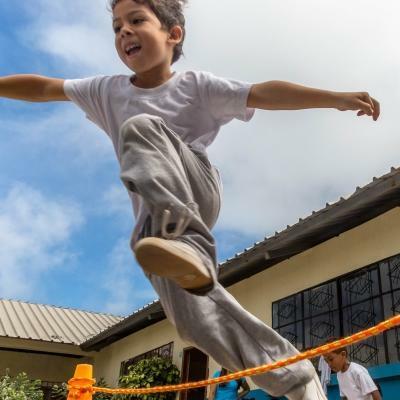 They’re passionate about giving children a chance to exercise, learn new skills, and grow personally. You can assist them in all aspects of training sessions. They’ll also be there to guide you through the work you do. You’ll run training sessions with local coaches, and train the children and adults within various school rugby clubs. Your training sessions will focus on improving fitness and enhancing players’ technical skills. You can teach things like teamwork, ball control, and accurate passing. If you’re confident enough, you can even come up with your own creative drills. Use the resources around you to improve children’s skills and fitness in creative ways. You’ll be based in Cape Coast. There are plenty of local attractions, shops, and beaches here. 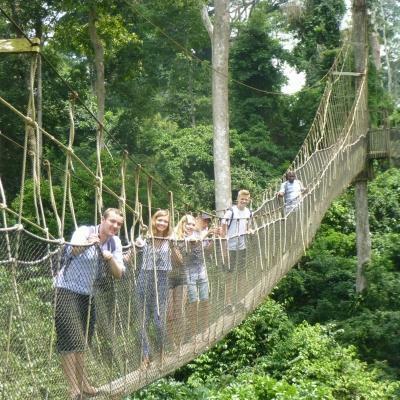 During your free time, you’ll be able to visit places like Kakum National Park and take a walk on their famous Canopy Walkway. You’ll work at primary and secondary schools, coaching children and teenagers between the ages of 12 and 18. The schools where you’ll work have basic facilities, and the rugby fields might not be the kind you’re used to seeing. 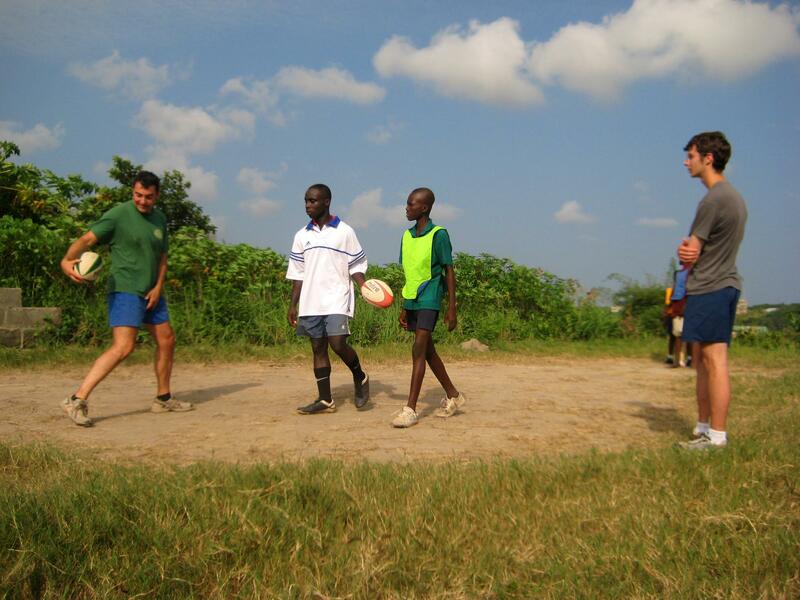 What is a typical day as a volunteer teaching rugby in Ghana like? You’ll begin your work day with breakfast at your host family. You’ll travel to your school using public transport. On your first day, Projects Abroad staff will accompany you to show you the way. When you arrive at school, you’ll discuss your daily programme with your supervisor. You’ll also agree on a weekly training schedule..
During these training sessions, you’ll support the local coach. You’ll focus on improving fitness, and teaching technical skills like ball control and accurate passing. You may also help coaches plan for rugby leagues and train for beach rugby competitions. Your free time can be used to wander around Cape Coast’s markets and explore the city’s famous historical sites. 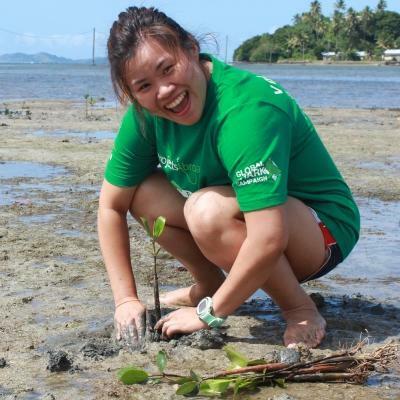 On the weekends, you can plan a trip with other volunteers and interns. The aim of this project is to give children and teenagers from disadvantaged backgrounds the chance to learn new skills and build confidence. 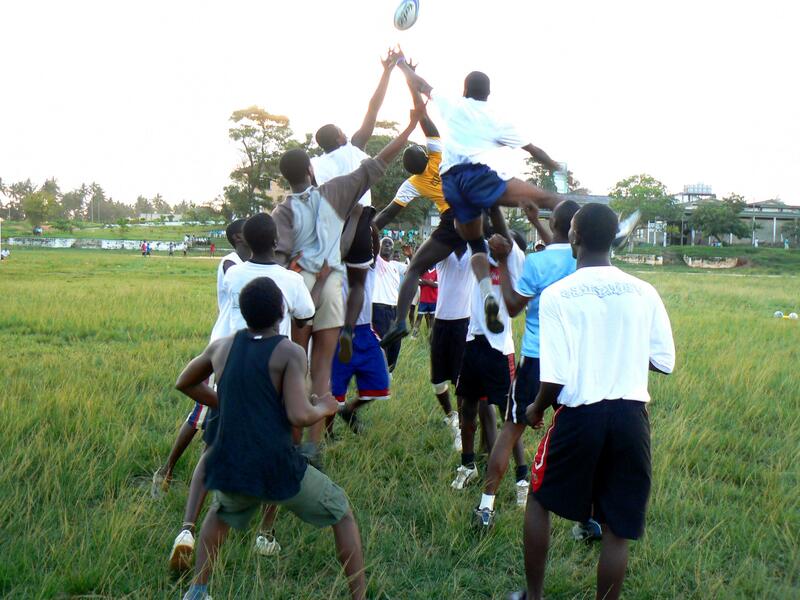 In Ghana, sports like football are hugely popular, but more and more people are becoming interested in rugby. Young people want to learn to play rugby, but opportunities are limited. This is because of a lack of resources and coaches. We have partnered with local schools to help change this, and we need the help of volunteers like you to do it. Rugby is a sport that can teach teamwork, and promote social and physical growth. As a coach, you will support this, and help youth become more confident and skilled. Join this volunteer Rugby Project and work towards building the skills and confidence of children in Ghana. I found this trip extremely rewarding, and the enthusiasm the children showed on a daily basis for a sport that is relatively new to them was very encouraging!